Don’t worry, we’re here to make your Monday a little bit more bearable with another adorable animal video courtesy of YouTube and Huffington Post UK. Even if you think pugs are a waste of time, watch this and have your mind changed. 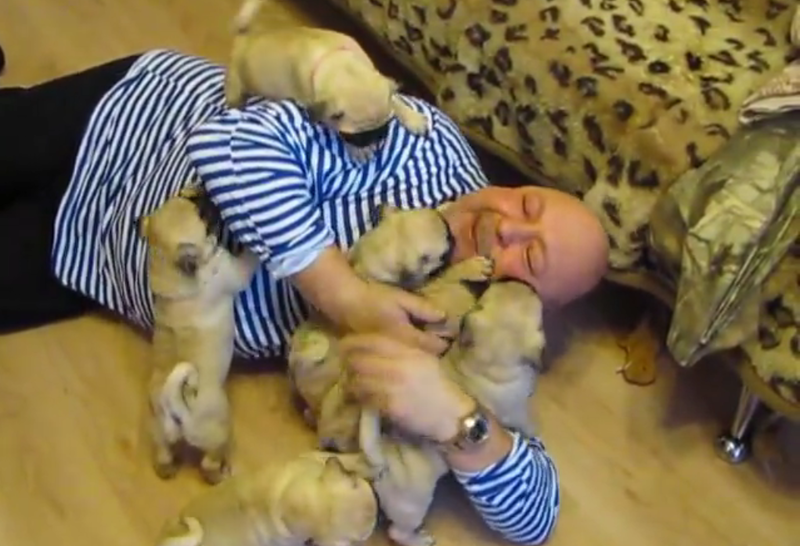 And if you already think pugs are cute – well, watch this video and bask in the satisfaction that you are unequivocally RIGHT. The video is entitled ‘доброе утро, мопсы!’ which means ‘Good morning, pugs!’ in Russian. We just wish we were greeted this enthusiastically every time we entered a room.